(VOVWORLD) - This week we received correspondence from new listeners. W. Murdock picked up VOV’s program on 7315khz in Clarksdale, Mississippi, the US. He listened to our program on software-defined radio with a random wire antenna and noted minimal noise and no fading. The signal was very strong and clear. B: Martin A. Schuette received VOV’s broadcast for the first time on 7315khz on September 22. The signal was quite good with some fading in and out at times. A: Niraj Kumar Ray of India emailed us to say he loves Vietnam and would like to tour Vietnam at least once in his life. He said reception in Bihar, India, was excellent. B: Thank you very much for writing to VOV. We hope you’ll send us more reception reports. We’ll verify them all with QSL cards. In the meantime, we’ll send you VOV’s frequency list and schedule, so you can find the most convenient time to tune in to our programs. Cuc Phuong National Park in Ninh Binh province. A: Richard Nowak of the US told us that he listened to VOV’s program on October 7 and the show had weaker reception than usual. He said that the show on 7315khz around 23:55 was strong with a 5/5 reception. Later the signal weakened and SINPO was 35233. He used a Zenith Trans-Oceanic 660B radio with outdoor active loop antenna. B: Richard said although the Sunday Show had poor reception this time, he listened to it with great interest. He said: “The show discussed the importance of the kitchen to the Hmong ethnic group. Many important events happen in the kitchen. I would like to hear more about this on another show. I enjoyed what I could hear on tonight’s broadcast. Thanks for the show and your support of shortwave! ”. Pu Luong forest in Thanh Hoa province, 25 km from Cuc Phuong national park. A: Vietnam is the most culturally diverse country in Southeast Asia. It has 54 ethnic groups, each with its own language and culture. We try to cover Vietnam’s cultural diversity in many features. The “Sunday Show”, our biggest show of the week, provides an in-depth look at Vietnam’s culture, history, landscape, and tourist attractions. Other features – “Discovery Vietnam”, “Colorful Vietnam – Vietnam’s 54 ethnic groups”, and “Culture” – also present different aspects of Vietnam. B: The Letter Box is a segment in which we respond to listeners’ questions. Najim Uddin of India says that in the Letter Box of September 19, he got lots of information about Vietnam’s Mid Autumn Festival and typical food items served at the festival. “This program said that about a month prior to the festival mooncakes go on sale everywhere. Homemade mooncakes are a fun way to teach children and foreigners about Vietnam’s cultural traditions. I was very happy to receive this wonderful information.” Najim said. Rred-shanked douc in Son Tra mountain, Da Nang city. A: The Mid-Autumn Festival is one of the biggest festivals of the year. It derives from Vietnam’s wet rice agriculture and has been modified to adapt to social changes, but the core value of the festival, the family reunion, has always been respected. Najim said he’s interested in Vietnamese culture and wants us to play a folk song during the Letter Box. No problem, Najim. Sit back and enjoy a folk song. A: You’re listening to VOV’s Letter Box, where’re acknowledging listener emails and letters we received during the week. Siddhartha Bhattacharjee, a regular listener in India, wants to know about forest coverage in Vietnam and the government’s policy to avoid deforestation. B: After forest cover dropped from 43% to 27% between 1943 and 1990, the government of Viet Nam took action to slow forest loss and drastically increase its forest cover. 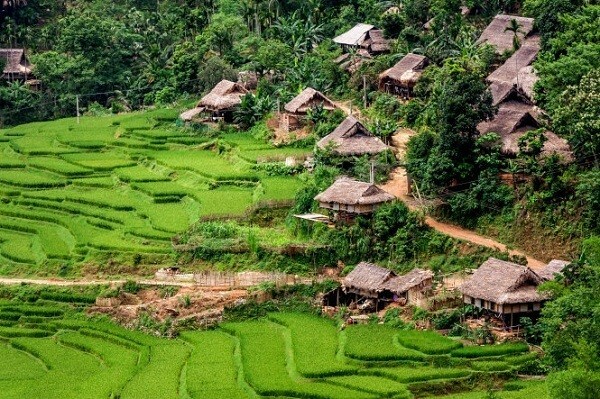 Unlike most other developing countries, Vietnam tackled deforestation long before the UN’s Collaborative Program on Reducing Emissions from Deforestation and Forest Degradation in Developing Countries was launched and became part of international policy discussions. 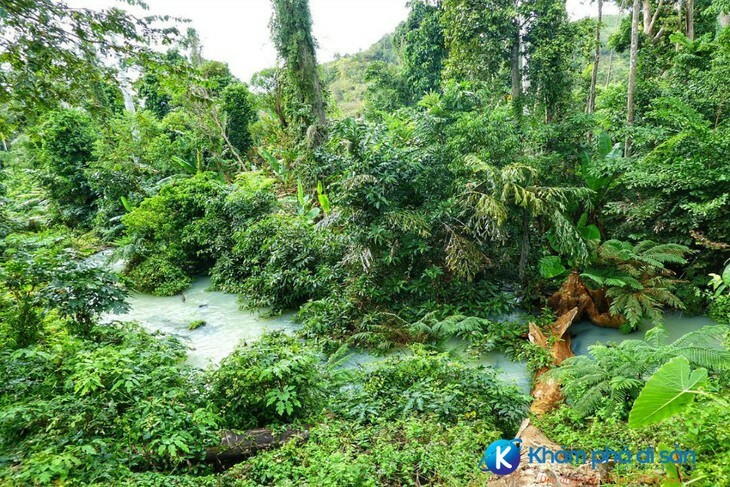 A: Vietnam has over 14.4 million hectares of forest, including over 10 million hectares of natural forest, and 4.4 million hectares of replanted forest. Today, forest degradation still occurs, especially in and around protected areas, and there is concern about the low overall quality of forests. B: Approximately one-third of Vietnam's forests are of poor quality. Much of this land was degraded by over-harvesting, conversion to agriculture, and depletion of the soil. Newly-planted forests, which are often made up non-native species like Acacia and Eucalyptus, cover 3.5 million hectares. These plantations are managed like perennial crops in three- to six-year rotations to supply the wood chip and export furniture industries. A: Vietnam’s national sustainable forestry program from 2016-20 hopes to achieve a forestry production growth rate of 5.5 to 6 percent, increase forest cover to 42 percent, get replanted forests to generate 20cubic meters of wood per hectare per year, and rice export revenue from wood and forestry products to 8 billion USD. Forests are expected to provide stable jobs for 25 million people. 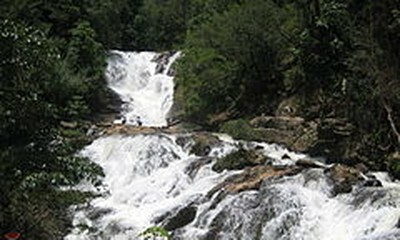 B: Some famous natural forests in Vietnam are tourist attractions. Cuc Phuong forest in Ninh Binh province, about 120km from Hanoi, was the first national park in Vietnam. It’s the habitat of thousand-year-old trees and a number of endangered animal species. 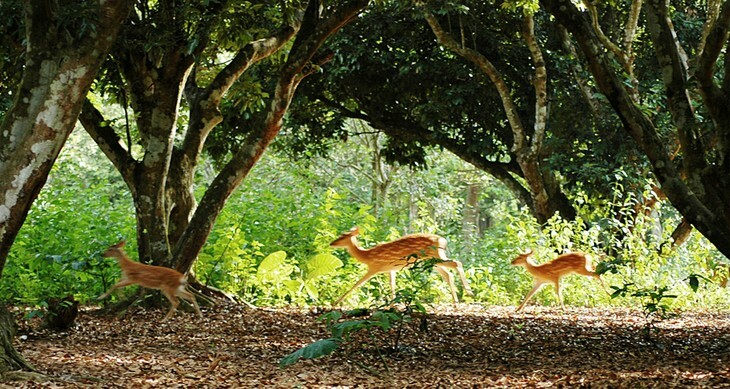 A: Nam Cat Tien forest is a famous nature reserve and ecotourism destination in the South. It has a rich ecosystem that shelters more than 40 endangered species. More than 50% of Cat Tien is green trees, 40% is bamboo, 10% is farms that grow 62 types of orchid. B: The U Minh forest is divided into 2 areas Upper U Minh in Kien Giang province and Lower U Minh in Ca Mau province. 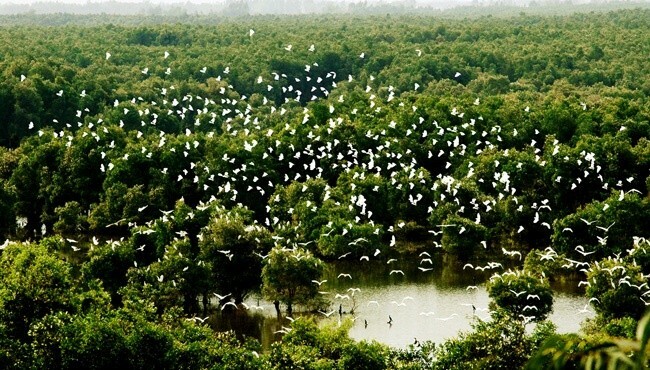 These two areas are considered the lungs of the Mekong Delta and are the habitat of over 250 species of plant, 24 species of animals, and 185 species of birds, many of them endangered. 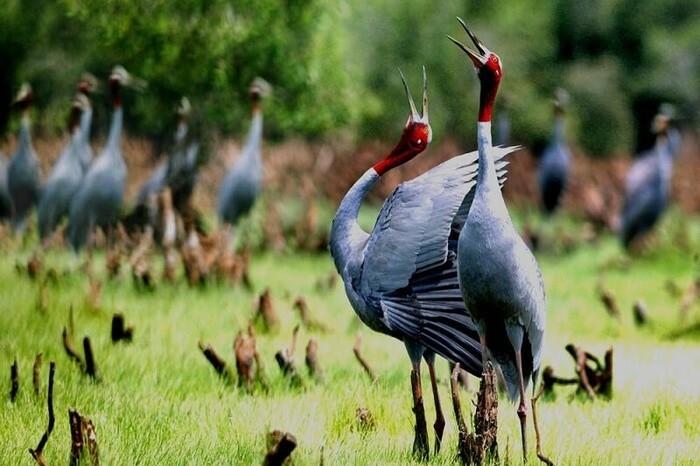 A: Yok Don is the largest national park in Vietnam with an area of 110 thousand ha. 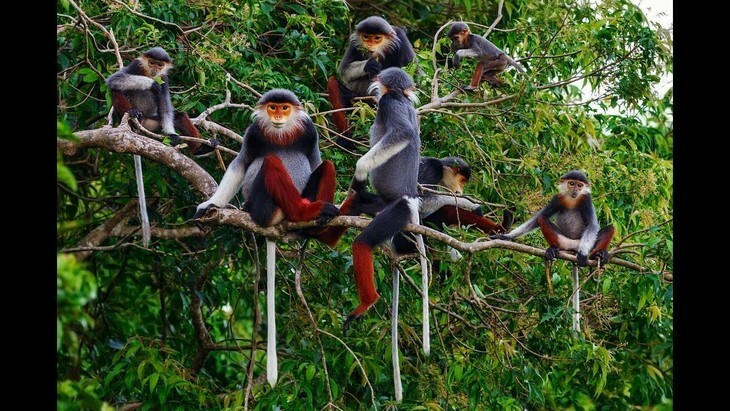 It spans the Central Highlands provinces of Dak Nong and Dak Lak and is the only national park in Vietnam which protects a dipterocarp forest. A: You are listening to the Letter Box on VOV. Thanks for joining us today. Catch us again next Wednesday for another edition of the Letter Box. Goodbye till then. Thank you for being our regular listener and your support for short wave. In Vietnam, about 10 percent of the country’s population is above the age of 60. However, with an ageing population comes the increased need for infrastructure and resources catering to elderly healthcare. It is common for the Vietnamese families to look after the elderly at home. However, we also have nursing home for elder people. We have sent you a document showing the cooperation program to take care the aged people launched by WHO. Please check your email and send us any question to englishsection@vov.org.vn. We welcome more of your feedback on our program. VOV has always been one of my most favourite stations. I enjoy listening to your program very much. Would you please tell me about the facilities and services given to the aged persons including retired employees by the government of your country. I would appreciate a detailed discussion about this. Thanking you in advance.